O’Neal Athletics is pleased to announce Upper School Spanish Teacher Heather Weeks as the new head coach for varsity track and field. Mrs. Weeks ran track and field as well as cross country and indoor track on scholarship for Appalachian State University. She ran the 1200 meter for the distance medley relay that won the Southern Conference Championship Indoors of 2001. Mrs. Weeks made top five finishes in both the 3,000 and 5,000 meter runs at conference meets in 2000. In 1999, she was awarded all-conference honors for cross country. "We are thrilled Mrs. Weeks has agreed to lead our track and field program,” exclaims Athletics Director James Franklin. She has begun strategizing on behalf of the student-athletes which will benefit them in the short and long term. Coach Weeks will bring strong leadership to our team and we are excited for the upcoming spring season and beyond." 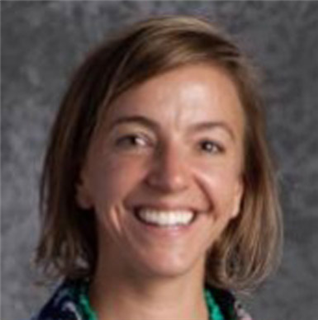 Coach Weeks has assisted with the track and field team for many years and relieves Coach Laura Bullock who is stepping down to focus more on her duties as chair of the School’s math department as well as head coach for the varsity cross country team in the fall.